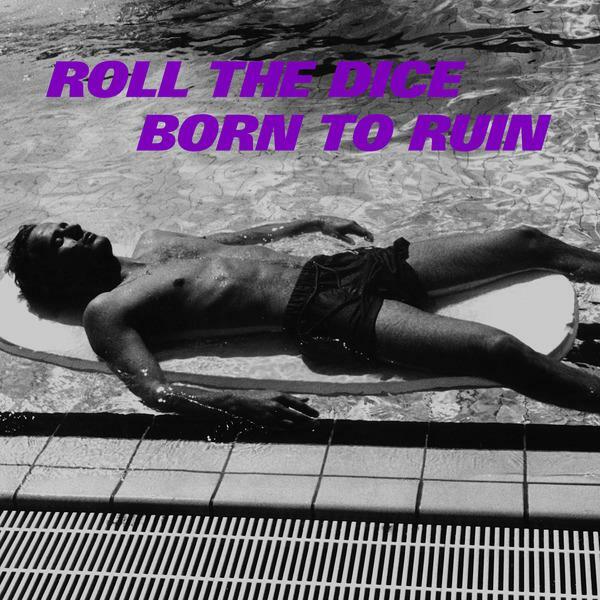 Roll The Dice’s Born To Ruin (released 26th May) opens with the electrifying synthetic rhythms and sax of ‘The Derailed’. What’s immediately striking is its directness: it’s brash, metallic and punkish, an appropriate opener for Peder Mannerfelt and Malcolm Pardon’s fourth collaborative album. Compared to the epic, sweeping compositions of the duo’s earlier records, the music on Born To Ruin is stripped to the bone — a collection of concise, sharply evocative, jazz-infused music that’s more smoky basement than orchestral hall. Following the stately orchestral explorations of 2014’s Until Silence, the music here is lithe, hollow and furious, evoking a fractured world of economic and political instability. Opener ‘Road To Derailment’, ‘Inward Spiral’ and ‘Bright Lights, Dark Heart’ are stark and mercurial, driven by a newfound sense of funk that draws equally on Charles Mingus and The Birthday Party, Surgeon and The Cramps. The saxophones of ‘Cannonball’, square off against the jagged pulse of Mannerfelt’s electronics, while on ‘Locked Hands’ maniacal pianos send whirls of colour through the mix. These harsh, politically-charged pieces are among the duo’s most thrilling music to date. Yet even among the anxiety you still sense the same feeling of hope that’s been constant throughout Roll The Dice’s music. Early on, the desolate lament of ‘Under The Arches’ blossoms into a gorgeous, sun-warmed desert vista, and later the album’s second side voyages further into contemplative spaces: the eerie cybernetic lullaby of ‘Coffin & Nails’, the metallic sax drones of ’Potters Field’ and haunted closer ‘Broken In Time’. Do these complex, melancholy pieces really represent the possibility of future redemption, or are they more of a temporary inward retreat from the violence of the world? Like Born To Ruin as a whole, these more sheltered musical zones are all the more powerful for their ambiguity — the promise that much more of this story is yet to unfold.